Product prices and availability are accurate as of 2019-04-24 19:08:09 EDT and are subject to change. Any price and availability information displayed on http://www.amazon.com/ at the time of purchase will apply to the purchase of this product. 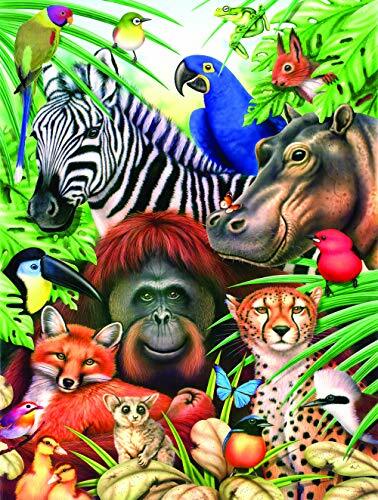 Fun & Easy 2 Jigsaw Puzzle Box Set: Animal Magic & Jungle Magic, 300 Large Pieces Jigsaw Puzzles - Finished Sizes 18" x 24"
These 300 piece jigsaw puzzles feature Pandas, Tigers, Gorillas, Giraffes, Koalas, Zebras and Parrots. 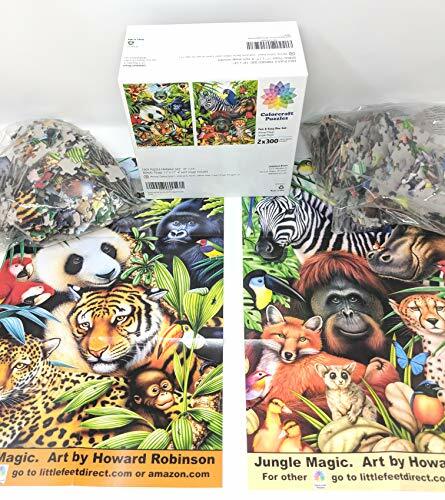 These are 300 piece random cut full color jigsaw puzzles with unique pieces. Keep the set as a gift for yourself or give it to a friend or family member as a gift. Regardless of your choice, anyone will enjoy the stunning art caught on this captivating puzzle. 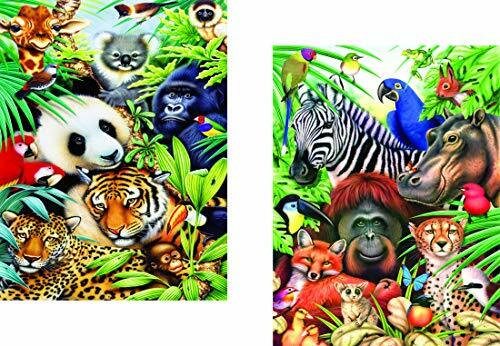 GREAT VALUE PUZZLE SET: Includes Two (2) 300 Piece Jigsaw Puzzles. Extra large puzzle pieces for easy handling. 300 RANDOM UNIQUE CUT LARGE JIGSAW PUZZLE PIECES - Designed to challenge and delight the puzzler, and provide hours of puzzling enjoyment. 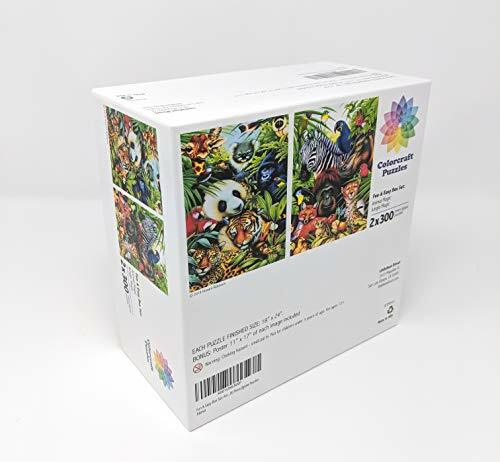 MANUFACTURED FROM THICK, PREMIUM CARDBOARD - The jigsaw puzzles are die-cut using the finest inks and finishes to create a beautiful, crisp, clear image. Bonus poster is included to aid in solving. COMPLETED PUZZLE SIZE DIMENSIONS: Each Puzzle is 18" X 24" - As avid Jigsaw Puzzlers we try to create the best and most challenging jigsaw puzzles for our customers. IDEAL FOR ADULTS & OLDER KIDS (TEENS) - Perfect to enjoy on your own or with family and friends. Jigsaw Puzzles are an activity that all ages can enjoy together.